Currently appointed as a tenure-track Assistant Professor at Queen's University with experience as a researcher and consultant with PAHO/WHO, UNICEF, PHAC, NCCDH. Strengthening Communities with a Socio-Ecological Approach: Local and international lessons in whole systems , Chapter in: Lars K. Halstrom, N. Guehlstorf and M. Parkes (Eds.). Ecosystems, Society and Health: Pathways through diversity, convergence and integration. McGill-Queen’s University Press. Teens in Transitioning Societies: Adolescent lived experience as a window into the loss, adaptation and opportunity of cultural and environmental change. Health Behaviour of School-aged Children Study for Canada. Exploring New Ways to Improve the Monitoring and Evaluation of Gender-Based Violence Interventions in Humanitarian Settings. Capacity Building in Research to Support Public Health and Health Systems Strengthening in Eastern Myanmar. Queen Elizabeth Scholars Network for Equity in Child and Maternal Health. Making Sense of Child Marriage Among Syrian Refugee Girls. Determinants of Health Among Young People in Canada: The role of health promoting families. 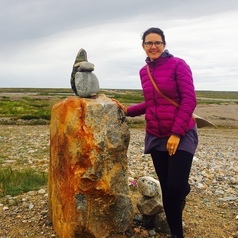 Deliberative Dialogue and Arts-Based Discussion Facilitation: Catalyzing Indigenous Wellness Research and Programming in Arviat, Nunavut. Opportunities for Health Systems Strengthening During Government Transition in Myanmar.